The way my blood pressure has risen at the actions of “protesters” congregating outside my local abortion facility predates me being an MP. As a lifelong Ealing resident I have noticed women seeking to use the Marie Stopes clinic in Mattock Lane being impeded in their wish to access services for the past two decades by organisations such as 40 Days For Life, the Good Counsel Network and Abort67. The latter unveiled graphic foetus images outside my office last year. I attended a demo against harassment of clinic users at the site back in 2014 and have been raising the subject in Parliament since my subsequent election. As an MP, I’m contacted by ordinary pavement users who say they swerve to avoid the road now due this incursion of intolerance into our harmonious and peaceful community, as well as frightened women and clinic staff who find the constant so-called prayer vigil wearing. I am pleased that the cabinet at Ealing Council, having assessed all the evidence including a major consultation, will be introducing a buffer zone around the clinic so women can go about their lawful business and avail themselves of this NHS procedure in anonymity and free from intimidation. This groundbreaking decision is not before time. Ealing Council is courageous in taking this step but not all the burden can fall on overstretched local government – they have had their budget slashed by over 60 per cent since 2010. I have been raising the same issue with Home Secretary Amber Rudd (who has a similar clinic in her seat) to follow Ealing’s lead and establish a nationally applicable solution. When I got together with BPAS and coordinated a letter signed by 113 MPs from Zac Goldsmith to Jeremy Corbyn for this, almost every Parliamentarian with a family planning clinic in their seat signed up. They know the difficulties that the protests and indeed counter-protests outside these clinics bring, causing headaches for the police thanks to insufficient public order regulations and anguish for women in their hour of need. 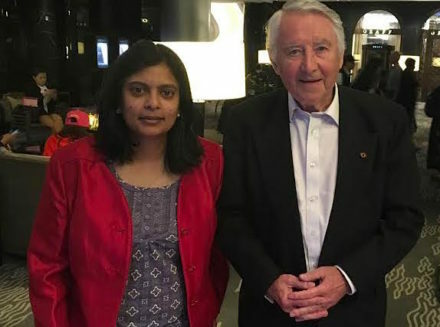 Ealing Council’s pioneering decision has been welcomed by the sponsor of the original Abortion Act 1967, which legalised terminations in the UK, the Liberal Democrat Lord David Steel. In the aftermath, Steel commented: “This is very good news indeed”. I know as I was serving on a Parliamentary delegation alongside him. I don’t agree with lots that the Lib Dems have done – their support of the coalition government being the most damaging – but I have enormous respect for Lord Steel who was not a part of that episode. His private member’s bill 51 years ago has improved society for the better by saving women from the dangerous DIY backstreet methods of terminations that took place until that landmark piece of legislation was passed. This decision is not about the length of time or the number of weeks to set limits, but simply keeping safe women who have decided to go through with that process. I am delighted that Lord Steel has leant his support to this campaign. Of course I value public protest but intervention in a manner that might be termed emotional blackmail at the clinic gate, when vulnerable women are proceeding with what might be the most difficult decision of their lives, is not the time or place. We also have another thing in common: my office has received plastic foetus dolls in the post and I have been called murderer. Steel recently spoke in a Lords debate of how he still receives hate mail, quoting one such example that accused him of bringing about “laws which lethally discriminate against new human life [and] have brought about the senseless deaths of more than 8,000,000 unborn babies”. They went on to state: “Abortion is truly the holocaust of our time, but the one ignored by the mainstream media, and, it seems, just about everyone else too.” Proof, if proof were needed, that intolerance towards women’s reproductive rights is no new phenomenon. Having the backing of a heavyweight like Lord Steel shows how Parliamentarians from across parties and indeed the Lords and Commons feel that our current public order law is insufficient to deal with protests designed to prevent women undergoing terminations. Many of the 113 MPs who signed the letter in support of further action have clinics in their own seats. “It is important that we do not go down the same road as America,” Steel told me, alluding to cases of doctors in the US who perform the procedure having been shot. Results of the Home Office feasibility review into the establishment of zones nationwide are yet to be made public. Towards the end of last year, the Home Secretary called for evidence but the consultation deadline has passed and it’s all gone a bit quiet since. Amber Rudd said in Parliament last month that the conclusions would be revealed in due course. I’m proud of the decision taken by Ealing Council. It will help Mattock Lane move away from being a site of passive aggression, and allow the police not to waste valuable resources keeping two groups of protesters apart. This is a great start – but there is a national problem that needs a national solution, which is why I will continue in Parliament pushing for new legislation.